The problem (not really a problem) with selling chalk-based paint is that with everything you paint, you really want to keep it all. Take my bedroom….we bought nightstands about a year ago. 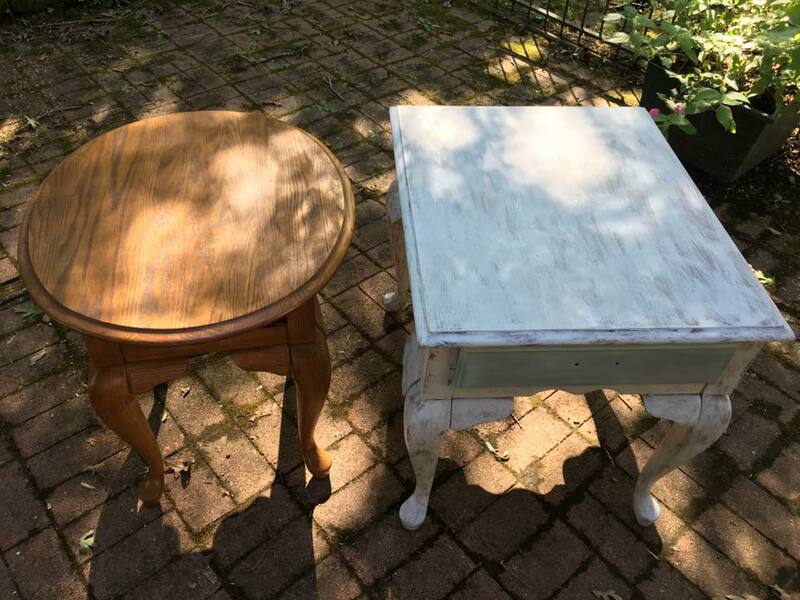 We’d never had nightstands before much less matching ones and I was going to paint them. 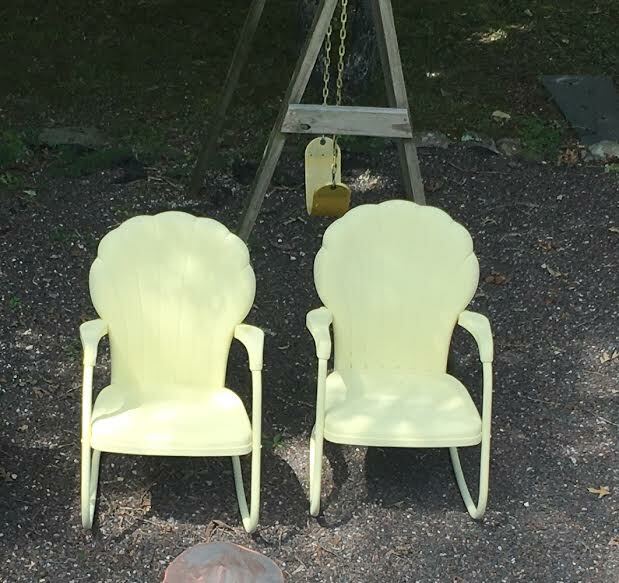 We bought them at Mary Ann’s Home Decor and Consignment in Rolla, Missouri, about a year ago and they were in such good shape I really didn’t want to paint them. 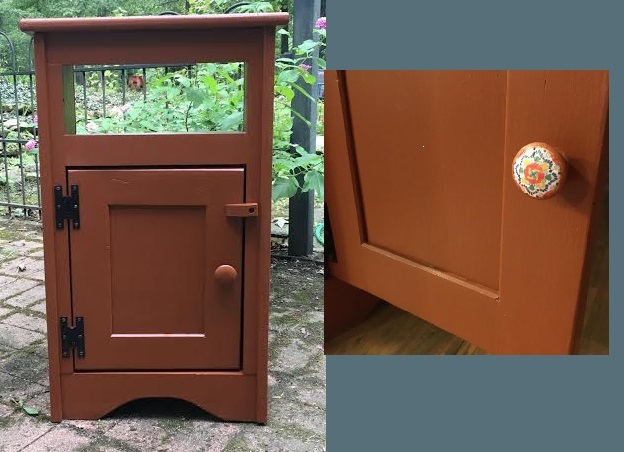 So, I compromised and painted just the drawer fronts, then gave them a coat of wax. 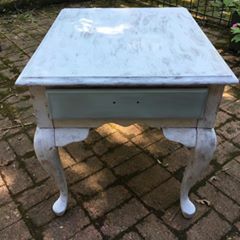 I’ve really enjoyed the size and the drawers and the drawer fronts I painted with Missouri Limestone Chalk-based paint in the color “Something Blue”, which is similar to a light teal color. Then about a month ago, our son Trevor found at an estate sale in Cape Girardeau, a really neat rattan storage bench for me to paint and sell. It was from Pier 1 Imports originally. 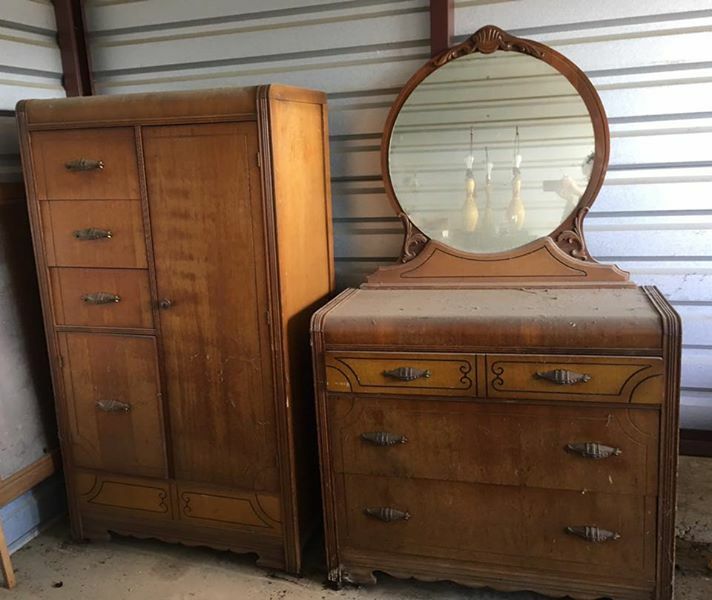 Hmmmm…that would look so nice painted with the same color as my drawer fronts and sitting at the foot of my bed storing clean sheet sets. I gave this a couple of coats of polyurethane for protection. Sold! To me! See, I told you it was a problem. I had to keep this one. SharSum Paint will be a vendor at the Vintage Artisan Fair in Eureka, MO on October 1, 2016. We will be demonstrating Missouri Limestone Paint and will (hopefully) personally have quite a few painted and vintage items for sale! 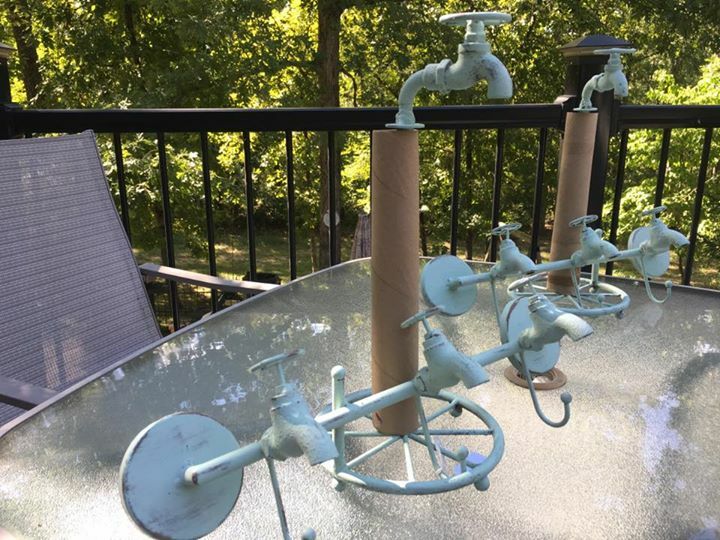 Our niece, Elizabeth, has been busy painting with our Missouri Limestone Company’s chalk-based paint, too, and we will have her items for sale also. 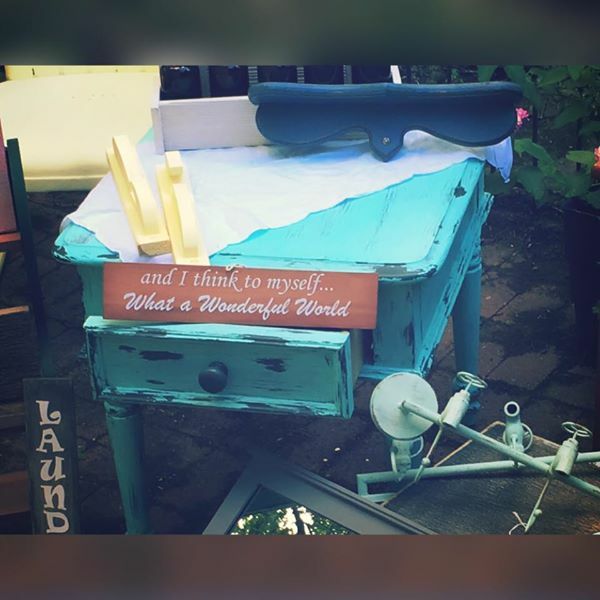 We worked on furniture repairs and painted outside all day yesterday. It was so nice outside! Here’s a sneak peek at an end table I’m working on for the fair. It will have an oval one to match. They will be available at the fair, if I don’t break down and sell them before. Shabby chic distress. Missouri Limestone Paint Company “Winter Gloves” dry brushed over the solid oak table. 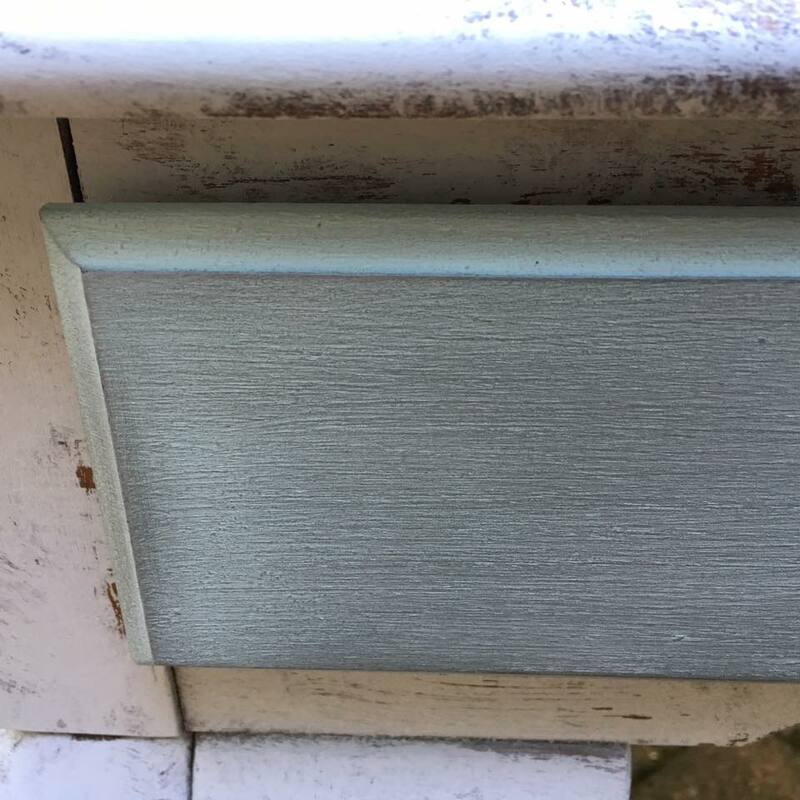 Drawers are painted with “Winter Gloves” then a coat of “Front Porch”. Distressed with steel wool to produce gray shading. Finished with Briwax. Waiting for painted hardware to dry. Ready to start the oval one to match. But not today. Here’s a few more items we plan on bringing (if they don’t sell first!